A poster is designed with pixels and light, but a poster is made of paper and ink. It’s easy to forget the differences between the two. 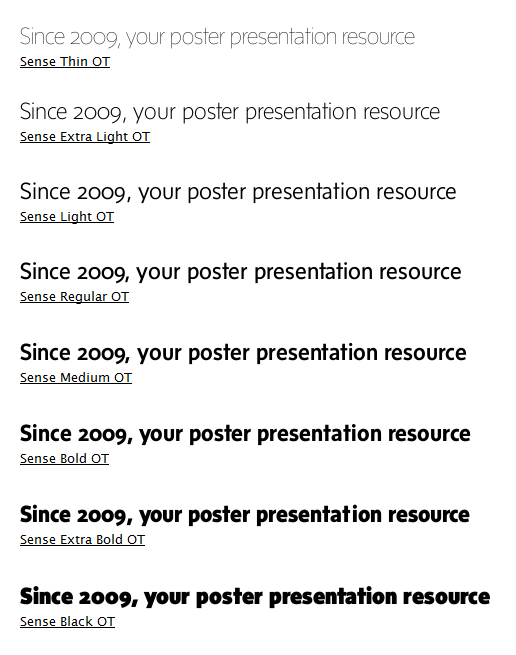 At one conference I was at this year, some of the posters that “popped” used white text on a black background. They tended to have one drawback, though: the text was just a little too thin. It needed to be just a hair thicker. When you print black text on a white background, the text is going to look ever so slightly larger. When you print white text on a black background, the text is going to get ever so slightly smaller. Ink always bleeds into paper. Even with high quality paper and a good printer, it will spread out from where it is placed. 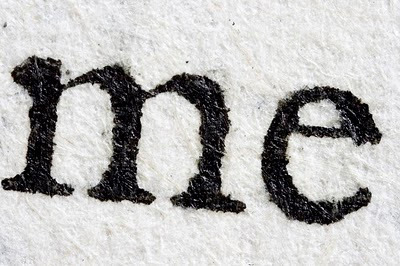 The finer the lines, the smaller the text, the more the ink spread comes into play. Failing to take that into account has frustrated type designers trying to capture the feel of classic typefaces. On a computer screen, putting black text on white background is literally just the inverse of white text on a black background. But white letters emit light, so that if anything, a white letter on a black background will look more luminous on a screen, when ink spread will have the opposite effect when you print the poster. 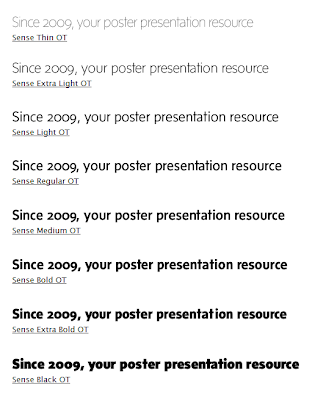 For a poster, you may want to step up from a regular weight to a medium, particularly if you want to use light text on a dark coloured background. The other solution, of course, is to make everything on your poster bigger! “me” picture by mightypeesh on Flickr, used under a Creative Commons license.